Nigeria’s ruling party may experience more turmoil as it’s national chairman, Adams Oshiomhole was reportedly quizzed by the Department for State Security (DSS) on Monday. The former governor was said to have been questioned over allegations that he collected bribes during the just concluded primary elections of the party that has equally thrown up crisis within the party. It would be recalled that no fewer that four state governors, and scores of aspirants for different elective positions have been calling for the heads of the former Edo State governor. The governors of Ogun, Ibikunle Amosun, Imo, Rochas Okorocha, Zamfara, Abdulaziz Yari and Ondo State, Rotimi Akeredolu have been very vocal in their condemnation of the party’s chair over the contentious primaries that gave victory to people other than their preferred candidates. Though there have been sustained war of words between Oshiomhole and the governors, the details of the bribery allegation is yet to be made public. 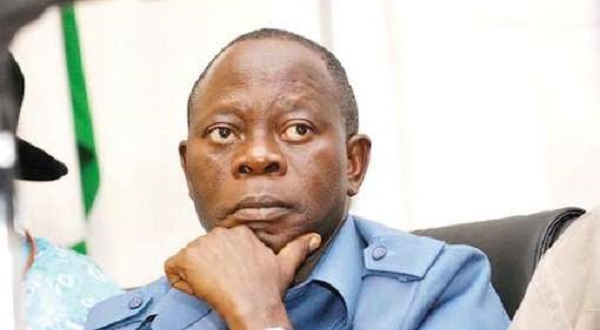 Oshiomhole was said to have been invited for questioning following petitions from some aggrieved governors of the party, accusing him of subverting the recent primary elections of the party due to some pecuniary interests. It would be recalled that no fewer that four state governors, scores of aspirants for different elective positions have been calling for the head of the former Edo State governor. Reacting to the reports of the interrogation, APC said it has no knowledge of the quizzing of its National Chairman by DSS. The party’s National Publicity Secretary, Mallam Lanre Issa-Onilu said Mr Oshiomhole is currently out of the country and could not immediately respond to the “rumour”. “We do not have any information on this rumor. More so, the Chairman is not around in the country to confirm or deny this. As soon as we have any relevant information, you’ll be updated”, he said. 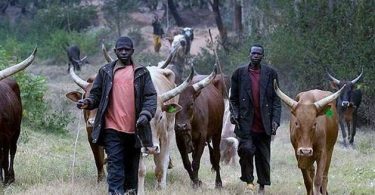 Issa-Onilu however failed to provide any detail on the Oshiomhole’s trip except that on it’s personal grounds.